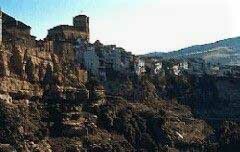 This town of Granada is located near the Natural Park of the Sierra de Tejeda, Alhama and Almijara, thus it is ideal for nature lovers. 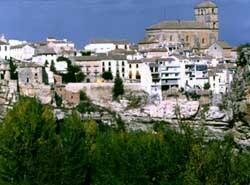 Alhama de Granada is famous for its Arab thermal baths that were built on the remains of Roman baths. The very name of al-Hama means 'bath', which makes us understand the importance of this place along its history as a place dedicated to the thermal baths. There have been found remains of Roman and Arab presence and the town was conquered by the Christians in 1482. 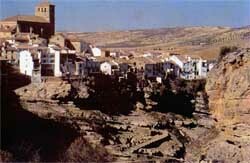 Alhama de Granada was built by the Arabs on an ancient Roman settlement of which even today are preserved remains some of its villas, part of a Roman road and a bridge over the river that passes through the town. Among some of the sights of Alhama de Granada is a Moorish castle, a Christian church of the sixteenth century and the House of the Inquisition which still retains the original facade. Definitely one of the main tourist attractions of Alhama de Granada is its natural hot springs, a public place which is about two kilometres from the village and which has several hot water springs where you can bathe in its waters with healing and regenerative properties for the skin. There is also a private area to which you can access on payment to the source of the river and where are offered treatments of mud baths, mud, chocolate, honey or algae and which also has thermal pools, whirlpool baths and under water massage among some of its services. During this traditional festival of Granada and celebrated on February 2, Alhama de Granada's streets are illuminated with bonfires lit by the neighbours. The fair of Alhama de Granada begins on September 8with attractions for the small ones and booths where to eat and dance. If you drive the recommended way to get to Alhama de Granada, take the direction to Velez-Malaga from where you take a mountain road to Alhama de Granada. If you need a car hire in Malaga or a taxi to Granada do not hesitate to contact us, we have a wide selection of vehicles to suit all budgets.